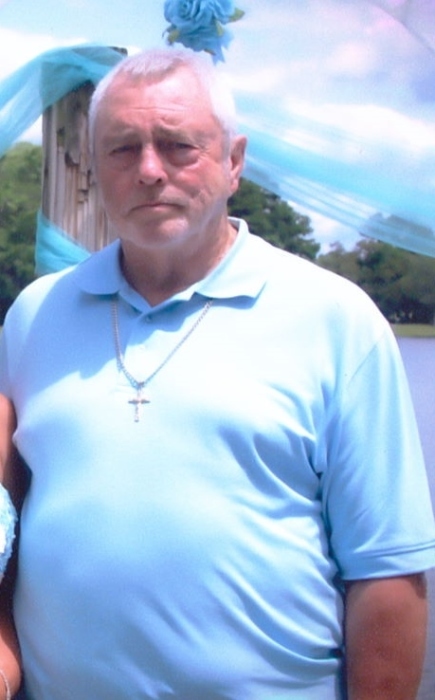 Clyde Eugene “Gene” Watts, age 68 of Maxton passed away on Wednesday, April 3, 2019. Funeral services will be 3:00 p.m. Sunday, April 7, 2019 at the Union Light Baptist Church with burial following in Epps Family Cemetery. Gene was a son of Dorothy Wilkins Watts and the late Lloyd Clyde Watts born February 12, 1951 in Scotland County. He retired after many years of service with WestPoint Stevens, Inc. He attended the Union Light Baptist Church. Gene enjoyed playing softball, riding his side-by-side, 4 wheelers and driving around in his old Dodge Ram Truck. His happiest times were those spent with family. Along with his father, he is preceded in death by a son, Carson Lee McGill and daughter Crystal Gail Watts. Gene leaves behind his wife, Christine Epps Watts of the home and children, Christopher Ray McGill (Jessica) of McColl, SC, Dawn Jones Mitchell (Kendrick) of Fairmont, Clyde Watts, Jr., (Patsy) of Maxton, Mandy Leigh Watts of Myrtle Beach, SC, John Easterling and Scottie Tyler both of Maxton; his mother, Dorothy Watts and sister, Janet Watts White (Jay) of Lumberton; grandchildren, Chelsea McGill, Ashley McGill, David Jones III, Davida Jones, Jadyn McIntyre, Calvin McIntyre III, Clyde Watts III, Jordan Goins, Ashanti Braddy; great grandchildren, Hunter Lee McGill, Adalynn McGill, Paislynn McKinney, Christian Jones, Aaron Locklear, Jr., Arianna Locklear and a host of family and friends. Visitation will be Saturday evening, 6:00 until 8:00 p.m. at Union Light Baptist Church.